Self guided tour lasts about 1 hour. Journey Behind the Falls is no longer available. 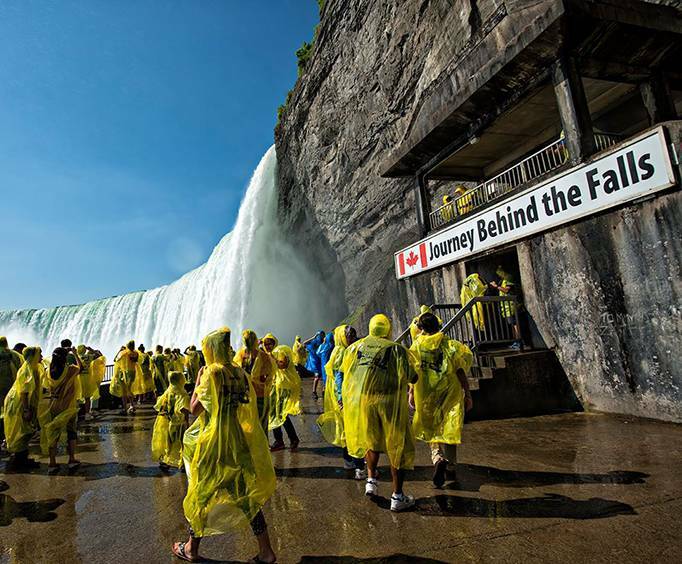 Watch as 2,800 cubic meters of water thunders down at 65 kilometers per hour at Journey Behind the Falls - you will not get any closer anywhere else! From the observation platform, you will feel the mists on your face from the water descending 13 stories. View majestic glaciers in the winter as the falls turn to ice. Niagara Falls freezes beautifully during the cold Canadian winter. In the winter, you will want to bundle up during your visit to brave the chill. 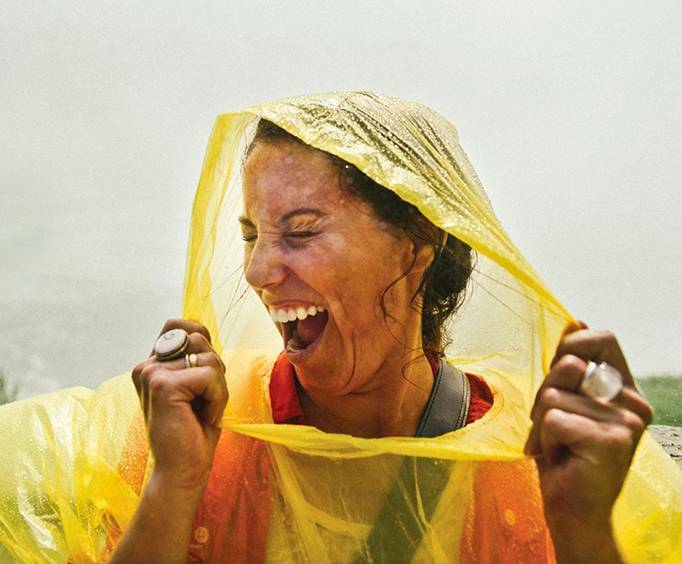 During warmer months, you will receive a free poncho that is a permanent souvenir of your visit. 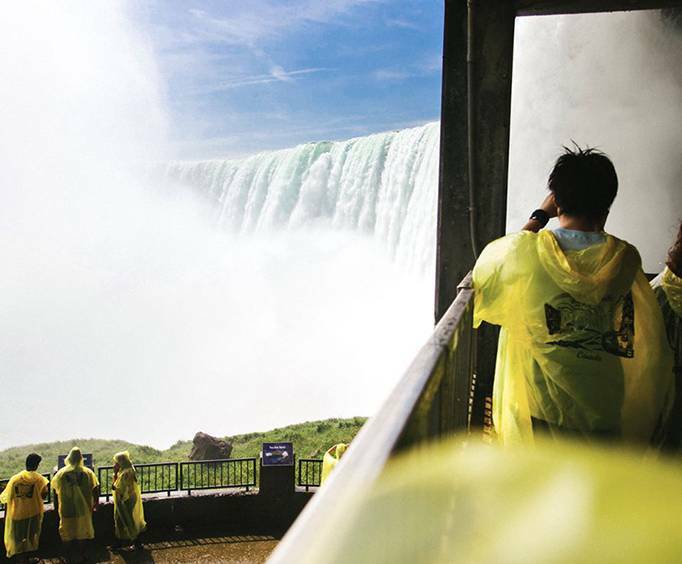 No matter when you visit Journey Behind the Falls, you'll want to take plenty of pictures of this world wonder. Journey Behind the Falls is open Monday through Friday from 10 A&period;m. to 6 p&period;m&period; Operating hours on Saturday and Sunday are 9 A&period;m. to 6 p&period;m&period; Journey Behind the Falls is closed on Christmas Day. Cameras and video taping are allowed. You can purchase souvenirs at the gift shop. Journey Behind the Falls is handicapped accessible with the exception of the lower observation deck. I will be taking another group to visit the falls. It was a wonderful experience. Thanks for your kindness.